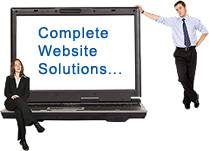 website designing Ludhiana, Website development Ludhiana, punjab, website Designers punjab, domain registration, website hosting, website design ludhiana, website developers ludhiana, seo google yahoo msn, search engine optimization, online applications, Pioneer Web Technology ludhiana india, asp Php Website, it company india, programming website, database websites, internet services, PDF ecatalogue , flash Animations, website Outsourcing punjab, india, ecommerce website, website designing mandi gobindgarh, jalandhar, malerkotla, website development gobindgarh, jalandhar, malerkotla, information technology company, website designing UK, website designing middlesex, website designing USA, AUSTRALIA, google top 10 rank. What are the charges for domain registration? How long does it usually take to process my domain name registration? How do I check the availability of a domain name? Who owns the domain name when I register through Pioneer Web Technology.? My site is not ready, can I still register my domain name now? For any other query please click here. A domain name is simply a description of a computer's location on the Internet. For an organization, a domain name is similar to a customized license plate. Registering a domain name on the Internet is the equivalent of registering a company name at Companies House. Once registered, no-one else can use that name. As there are many companies with similar names, it is important to register a suitable domain name for your company as soon as possible. A domain name is a way by which a company can uniquely identify itself on the Internet. It is better to have domain on your company name or your brand name. There are different types of domain names that you can register. The general purposes for these domains are: .com Commercial, .net Network, .org Miscellaneous Organizations, and .ca for Canadian domains..
Domain is only for Rs. 500.00 /year ($10). If you want to register domain for more than one year please contact us at , we'll quote you accordingly. Who owns the domain name when I register through Pioneer ? When Pioneer registers your domain name, we list you as the "administrative contact", "Billing Contact" and the "Registrant". (Unless otherwise noted) The Registrant is the person or organization which, according to InterNIC, owns the domain. You are free to change, modify, or delete your domain name by login through our online control panel. 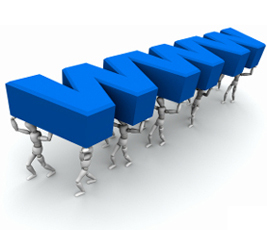 If you want to register your domain right now... click here..!